Berkeley Minicar is an independent auto repair shop that has been servicing Hondas... and now Acuras and Toyotas... in Berkeley for more than 30 years. Berkeley Minicar takes pride in doing quality work when servicing your car. Our long-term technicians are extremely knowledgeable about the needs and idiosyncrasies of Hondas and Acuras. In fact, many of us worked at Honda dealerships before Berkeley Minicar. We can tell you why the engine light is on in your late model Hybrid, while keeping your vintage Civic wagon running smoothly. We always use the best quality parts and the same diagnostic equipment that Honda dealers use, and remain current on all maintenance requirements. We perform all of the services needed to meet or exceed your Honda warranty. You will find that Berkeley Minicar is not your typical garage. Mark (the owner) takes pride in maintaining a clean, neat and organized shop. Many of our technicians have worked with Mark since 1980 and the sense of loyalty and mutual respect are evident in our “family” atmosphere. We all are committed to making sure you, our customers, feel confident that you are receiving the best service value, and experience possible. 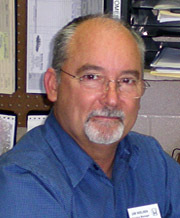 In 1980, Mark Lempert purchased the shop after working here as a mechanic for several years. For Mark, it has always been all about the customers, earning their trust and making sure they are treated like he would treat his best friend. 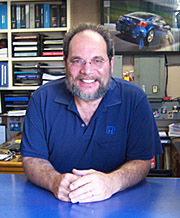 Jim Nielsen, Berkeley Minicar's service manager, began working on Hondas in 1975 at Oakland Honda. Since then he has managed successful Honda and Acura service departments in the East Bay. 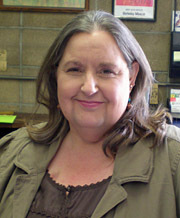 Nancy Stauder, our office manager for over 10 years, brings a lifetime of automotive customer service experience, having grown up working at her family's service station. Together, Mark, Jim, Nancy and the entire Berkeley Minicar family are committed to ensuring that customers feel welcome and comfortable, have all of their questions answered, and are notified about the cost and progress of repairs in a timely manner.